MOSCOW (Sputnik) - Russia aspires to use national currencies in trade with Turkey but the issue needs to be worked out meticulously, Kremlin spokesman Dmitry Peskov said Monday. "The issue of using national currencies in bilateral trade operations is a topic that has been raised by the Russian side for a long time and consistently at various levels, including at the top level. President [Vladimir] Putin has repeatedly spoken about this possibility and moreover, about its practicability. Of course, this is subject to scrupulous work, scrupulous calculations but this is what we are striving for in our bilateral trade and economic relations, and what has been repeatedly mentioned at the bilateral Russian-Turkish talks," Peskov told reporters answering a question whether the switch to the national currency in trade with Turkey was beneficial for Russia. "I do not know that this situation may somehow affect the development of projects. Everything is proceeding as usual," Peskov told reporters. He said hypothetical speculations about Russia's possible financial assistance to Turkey are inappropriate. 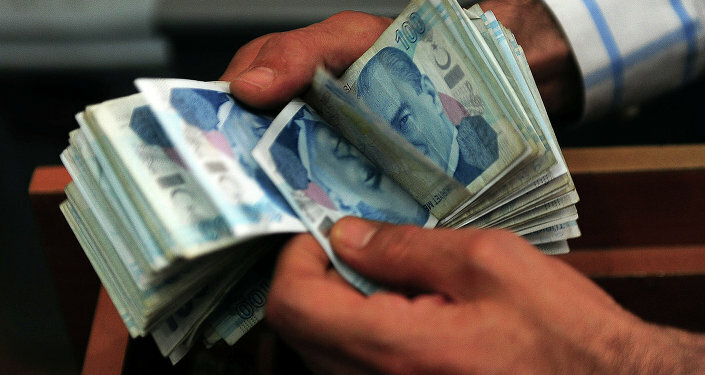 Turkey's national currency has lost almost 20 percent of its value since Friday, when US President Donald Trump authorized a 20 and 50 percent tariff hike on imported Turkish aluminum and steel, respectively.